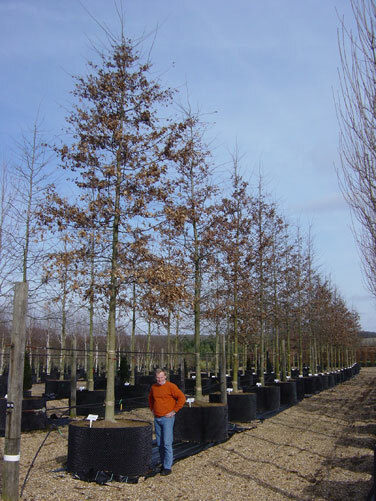 Standard trees are priced and sold according their girth. 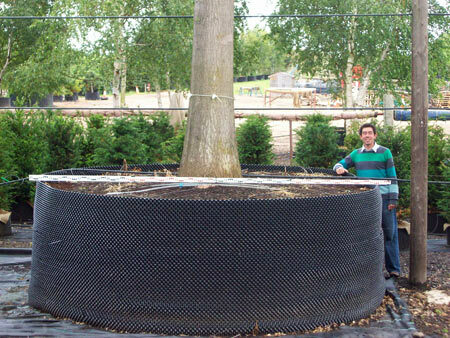 The girth is the circumference of the stem measured one metre from ground level. Girth is a much better gauge of maturity than height, which can vary enormously between species. Note: Only applies to standard trees. Feathered and multi-stem are measured in height (metres). 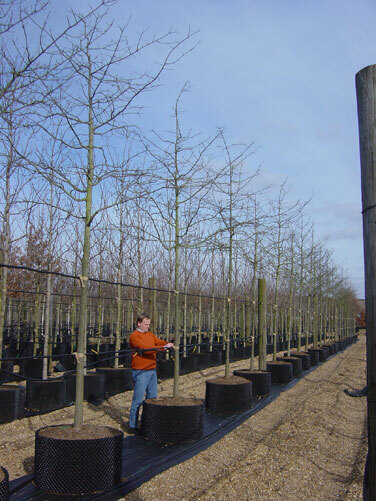 Nearly all of our trees are prepared and loaded with mechanical lifting tools, Only a few of the trees we supply are suitable to be planted “by hand”. 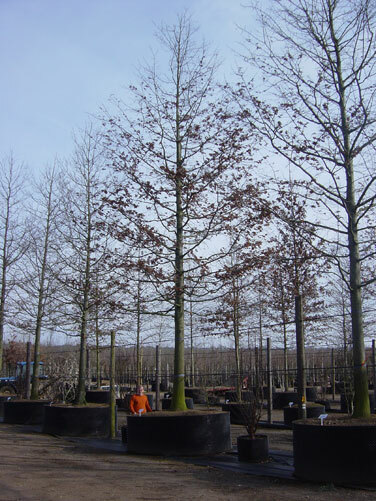 Weights given are approximate and may vary according to the tree variety, soil type and moisture content on delivery date. We also have smaller containers! 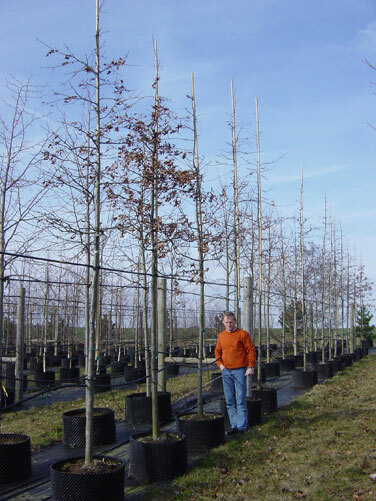 The correlation between the girth and height of a deciduous tree varies greatly between varieties and even between different batches of the same variety. 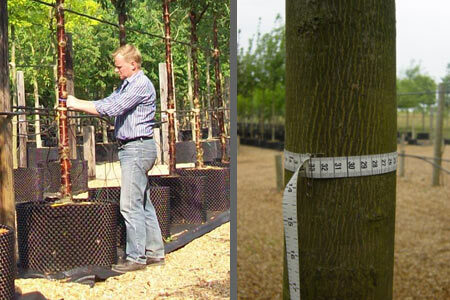 The table gives an idea of the average height of a typical tree in each available girth size.